The artist spoke of the risk of creating a subjective space and the need to find a balance between self-indulgence and making something others can relate to. 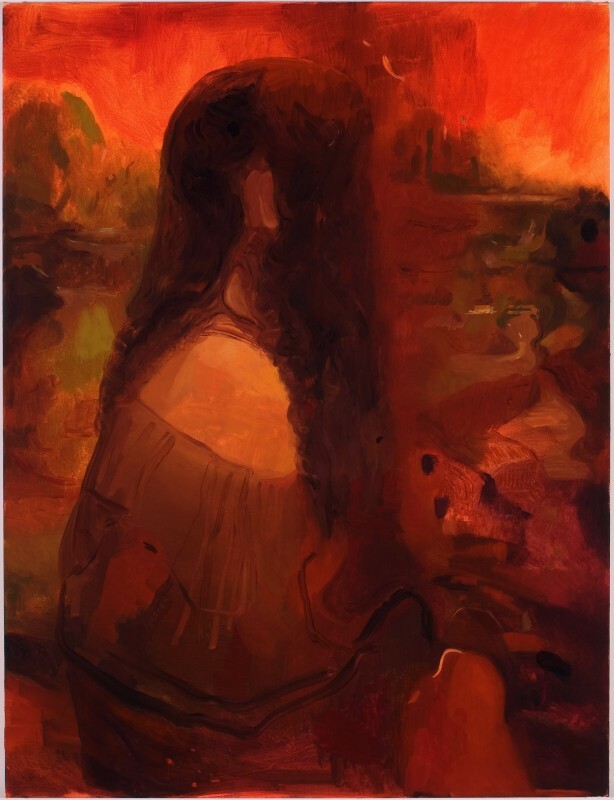 At the same time, she continued, creating a painterly painting in the late 1990s was considered either a masochistically bad decision or an extremely naïve one (the interpretative phrasing is mine). 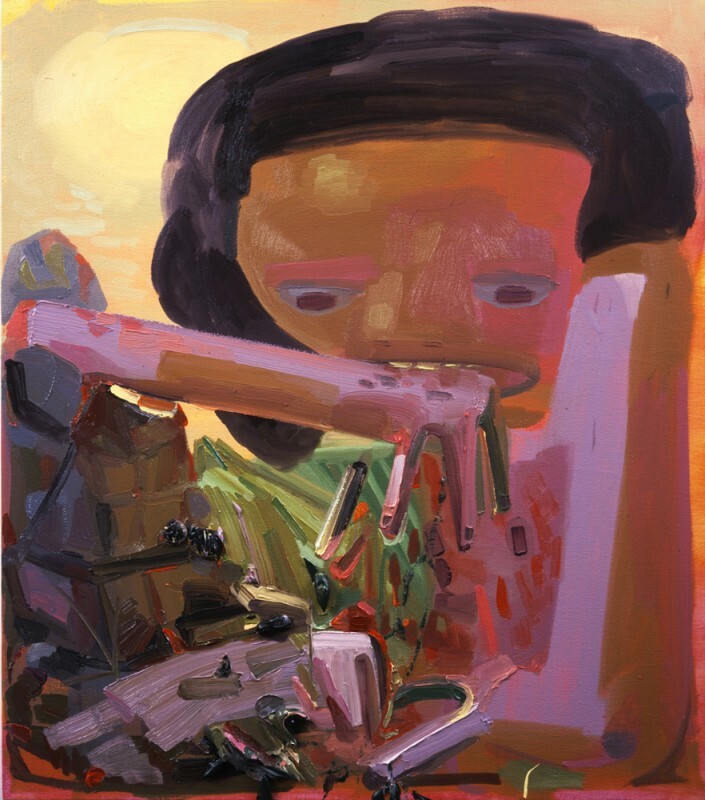 Schutz described how her approach to painting moved from “picture/object” to “person/container,” which wasn’t entirely clear but makes sense considering how, in the words of one audience member, her work seems so personal. 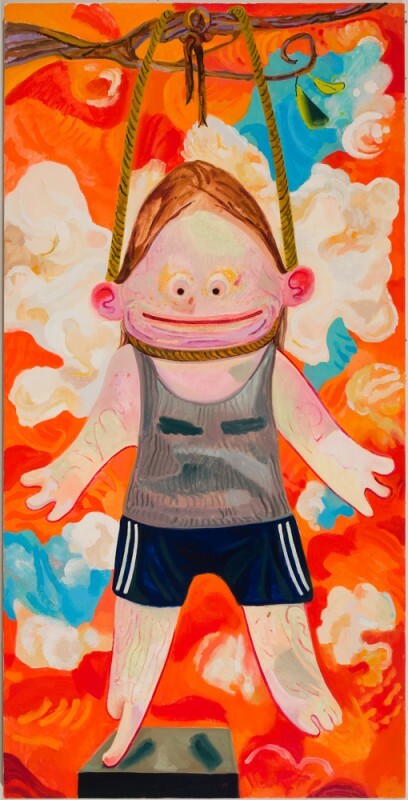 And Schutz is definitely an odd bird with a wild (and wild-eyed) imagination that’s incredibly open and curious, not obscure, hermetic, or cynical. Competently articulate when talking about her work, Schutz ran through several dozen images of paintings, offering tidbits on certain pieces and calling attention to their peculiarities—the big toe pointing at the viewer in Presentation (2005), for instance, or the cobbled-together object depicted in an early work that could be representing the end-of-the-semester dump of failed art-school projects. A picture of a girl sneezing, she said, was made to show what sneezing feels like, since the action happens so fast we can’t observe its frozen moment. Schutz said the tangled politicians in Party (2004), inspired in part from the Republican National Convention in New York of that year, might portray a media disaster or a celebration, or a farce of both. 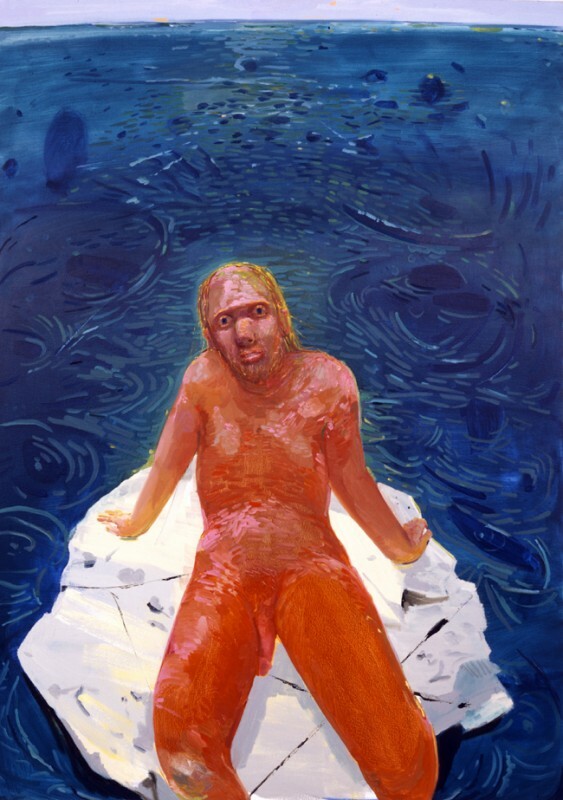 She said her painting of Poisoned Man (2005), modeled after the disfigured Ukrainian prime minister, Viktor Yushchenko, could be seen as a Dorian Gray. Schutz conceded that she struggles with fiction, but earlier in the talk she claimed a need for narrative. Narrative, however, isn’t the right word to describe her work. There’s not so much a story as there is a situation, often invented and not usually experienced firsthand. For example, she made The Autopsy of Michael Jackson (2005), painted several years before the performer’s death, because of a fascination with how his body always seemed already sectional or disjointed: the feet dancing on their own, the gloved hand, the vocal hiccups—his body ripe for dissection. Even something like the extremely uncomfortable How We Would Give Birth (2007) is a conjecture, since she doesn’t have kids. “People like that exist in Cleveland,” Schutz said, referring to the earth-toned figure in Time Traveler (2007) sporting a 1970s turtleneck. She identified the person on the left as a former art-history professor. The artist said she had a recent lunch with a good-looking friend and noticed, for the first time, how beautiful his blue eyes were. 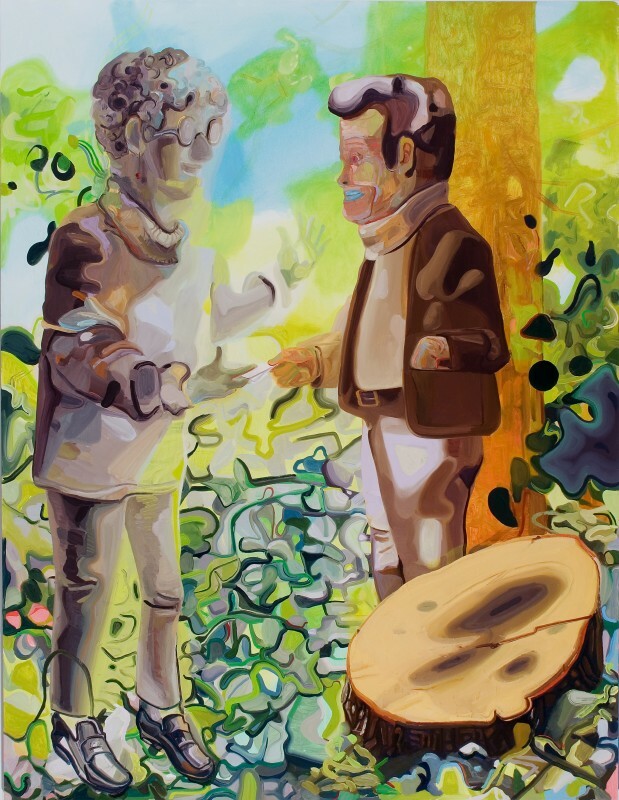 She instinctively reached out to touch them, an event captured in a painting called Poke (2010). “You know that haircut’s not gonna be good,” talking about other activities taken on by the clunky, cumbersome hands she has been painting lately. 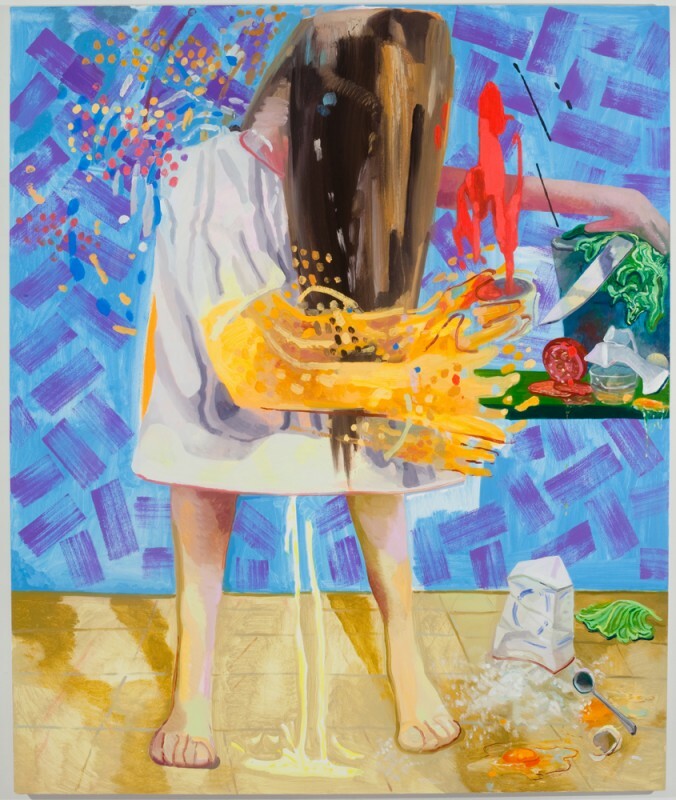 Someone asked Schutz if she paints strange scenes because she wants to break social norms. No, she has neither the desire nor the urge to experience the things she paints, which are sometimes, she admitted, just horrible images that come to mind. Dumb, crazy things can work in a painting but be a disaster in real life—just look at Gravity Fanatic (2005) or Frank’s sunburned, naked body. Ouch!